ex-mayor Russell M. Hart, chairman of campaign for auditorium. 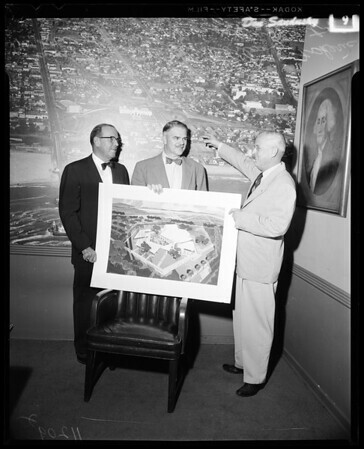 D: They are all holding preliminary sketch of auditorium and Hart is indicating on large mural aerial-photo of city approximate location of aud. site. D10: Copy of drawing”.